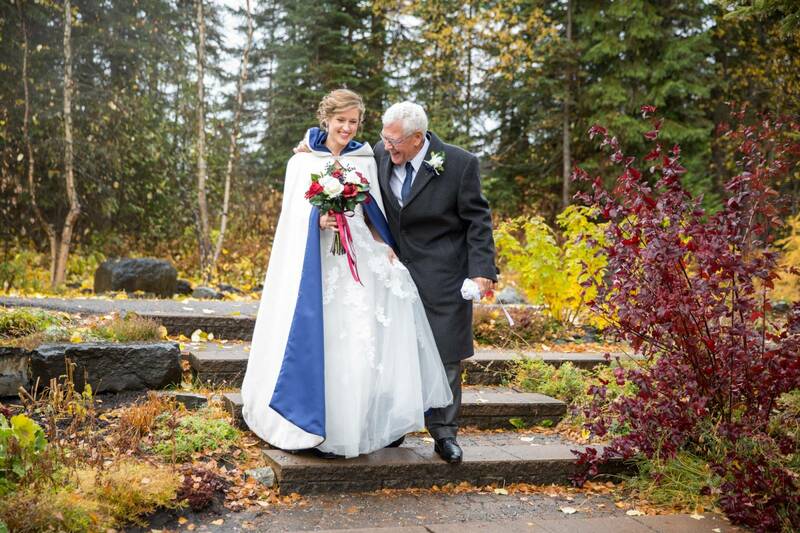 We never get tired of beautiful weddings at Emerald Lake in Field, BC. 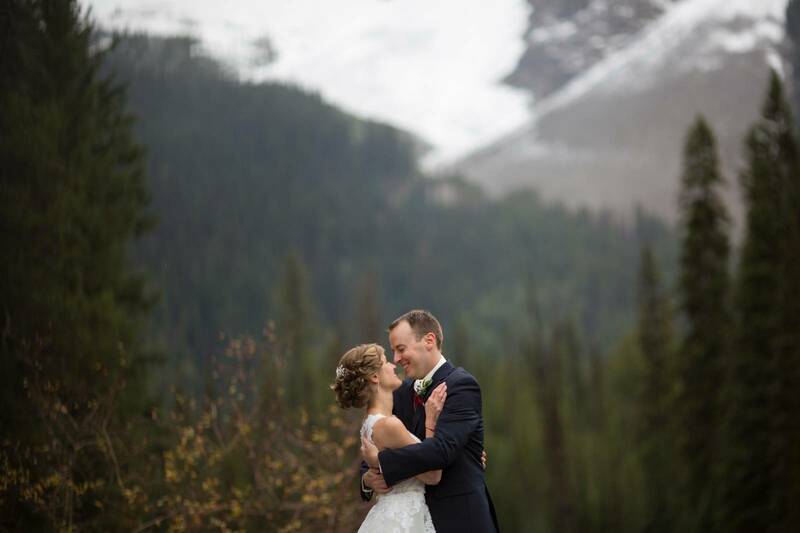 It's one of the most magical places in the Rockies and possibly all of Canada! 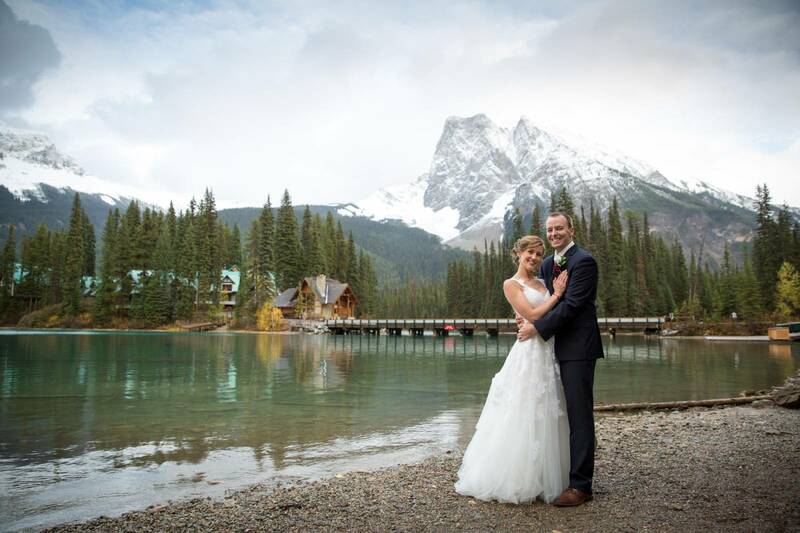 Emerald Lake was discovered in 1882 when famed mountain guide Tom Wilson was led lakeside while rounding up a group of horses that had gone astray and was immediately taken by the vivid Emerald-coloured waters. 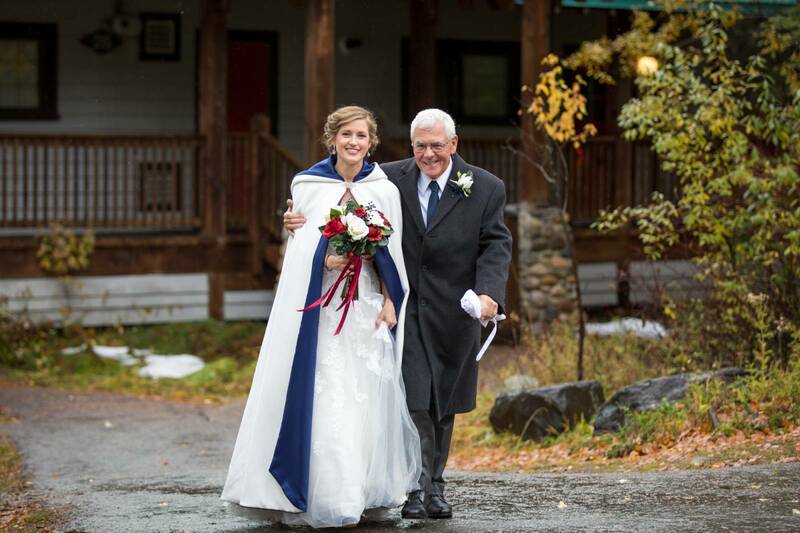 Today we're heading out to Emerald Lake in October for a gorgeous wedding ceremony with Banff wedding photographer, Eric Daigle Photography. 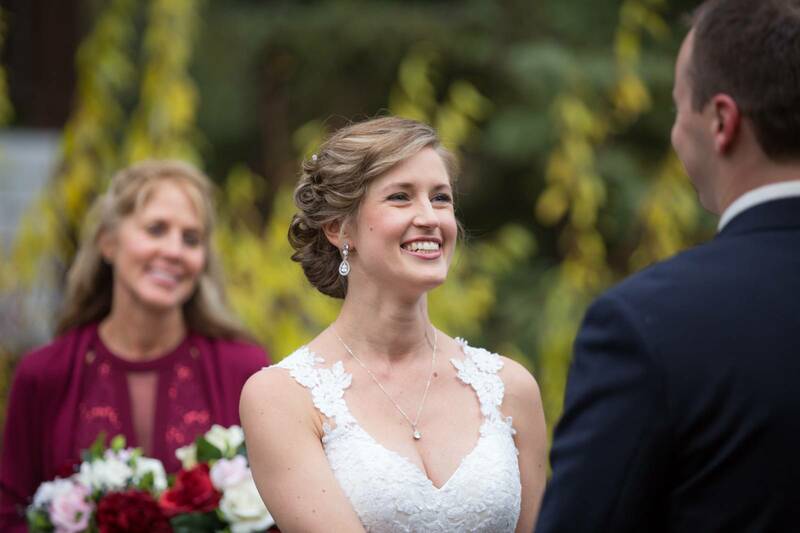 Carrie and Tyler were married outside amidst the bright yellow leaves, turquoise water, and a handful of their closest family and friends. 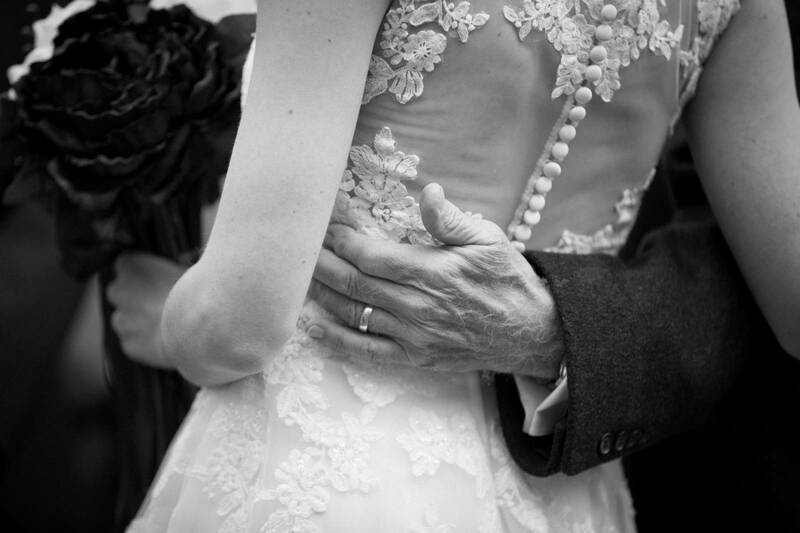 The wedding was intimate and incredibly touching, and we are excited to share the beauty with you today. 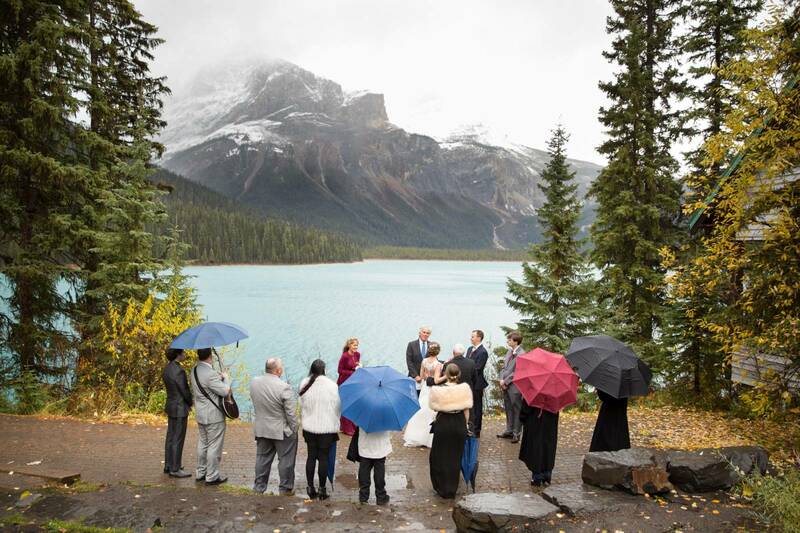 The day started off rainy but it cleared up enough for the beautiful outdoor wedding ceremony and plenty of time for photos along the crystal waters and through the mountains. 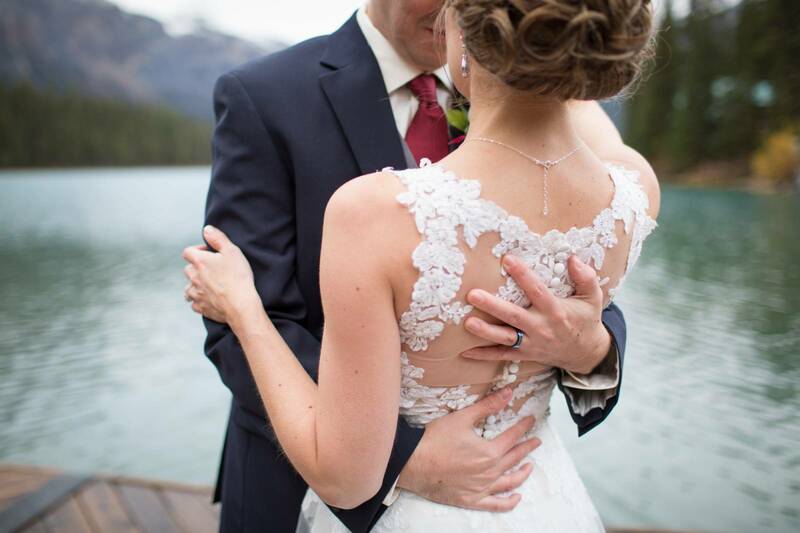 A huge thank-you to Banff wedding photographer, Eric Daigle Photography for sharing this gorgeous, intimate wedding with us today! 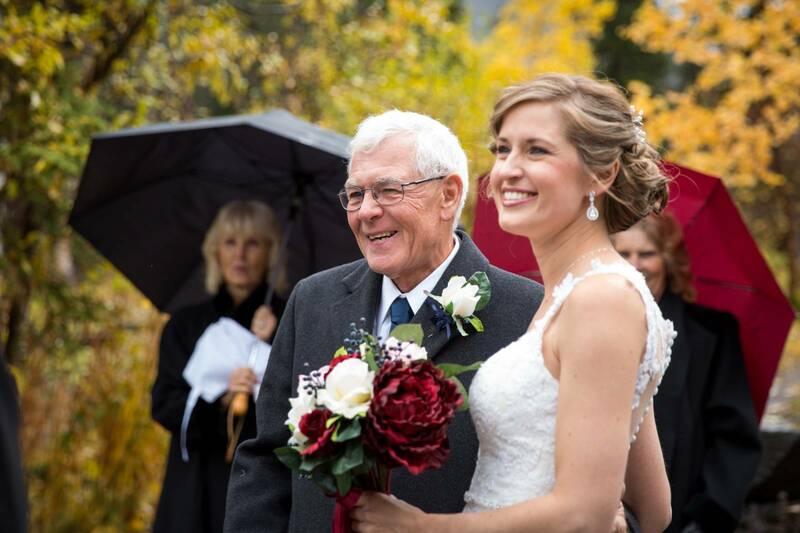 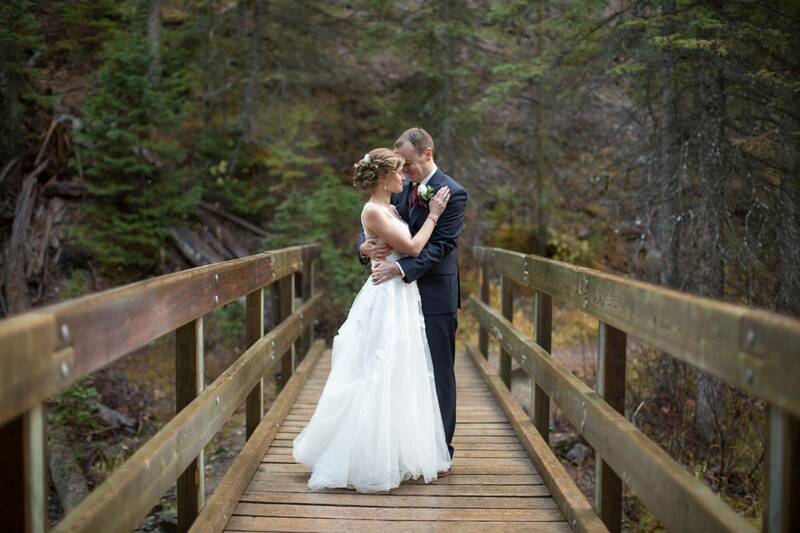 Be sure to head over to Eric's profile to see more incredible weddings from Banff, Canmore, Lake Louise and beyond.